The key to preventing issues like cavities and gum disease is understanding them and their underlying causes. The basis for most oral health issues is plaque. Plaque is made up of bacteria that lives within your mouth and feeds on the things that are left over from your meals and drinks. These bacteria congregate around food particles that become stuck to your teeth, then they spread. As they spread they eat away at the enamel of your teeth. Enamel is the outer-most layer of your teeth, which is responsible for protecting them from bacteria and preventing wear and tear. When bacteria is allowed to stay on a tooth and proliferate it can eat through the enamel and start affecting the inner layers of the tooth, resulting in cavities. Plaque is a sticky substance that is easy to clean away using floss and a tooth brush. However, if plaque is allowed to build up on teeth, after some time it will harden and form a substance called tartar. Plaque and tartar don’t only affect your teeth; these bacterial colonies can also hurt your gum health. Gum disease (AKA gingivitis and periodontal disease) is one of the leading causes of tooth loss in America. When these bacteria are allowed to go unchecked for a long enough time they begin to infect the gums. What can be done about plaque? The things that make the biggest difference in your fight against tooth decay are within your control. Brushing at least two times a day is critical to your oral health. By brushing after meals you remove a huge amount of decay causing bacteria. Flossing has a similar affect, but helps you to reach the debris and bacteria that sits between your teeth. People often ask if they can do anything after lunch or while at work to help prevent bacterial buildup. We suggest rinsing your mouth out with water. This simple method can wash away large amounts of bacteria and most importantly, food debris. Making sure to see us two times a year for a regular cleaning and exam makes up the other half of caring for your mouth. a trip to our office for a twice yearly cleaning and examination is critical to your ongoing dental health. We can give your teeth a deep clean, making sure to remove tartar buildup. This will give your teeth a fresh start. 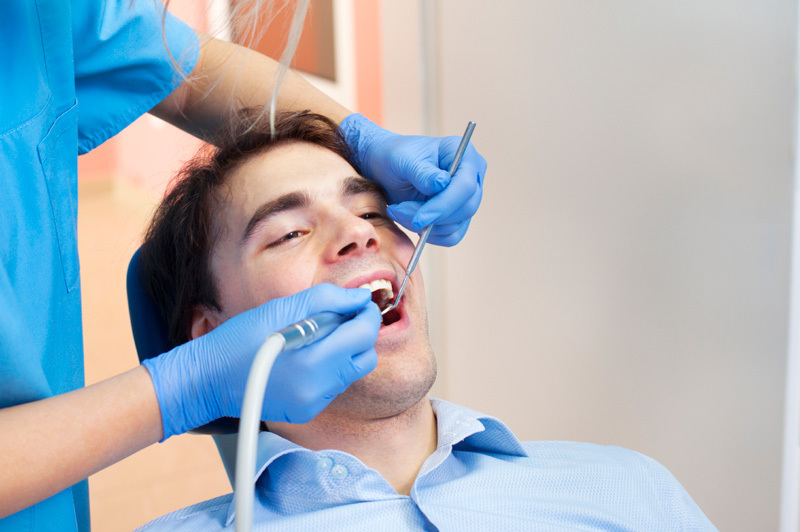 A bi-annual appointment also allows us to take X-rays and check for issues like oral cancer and cavities. If we are able to catch these issues before they become too large, we may be able to help you takes steps to reverse them. With dental sealants we are able to protect your teeth from decay causing bacteria for years. The tops of your teeth have many peaks and valleys that food can get trapped in. If left, that food can cause decay. We paint the sealant material onto the tops of your teeth and set it in place. The hardened sealants act as barriers or shield for your teeth, protecting them for up to five years from decay. Dental sealants are a great option to help prevent cavities but it is important not to rely on them too much. In order for them to last a good, long time you will need to brush and floss regularly. Gum disease is one of the many conditions that we hope to prevent. When oral hygiene habits are ignored for too long there is a risk that gum disease will creep into your mouth. 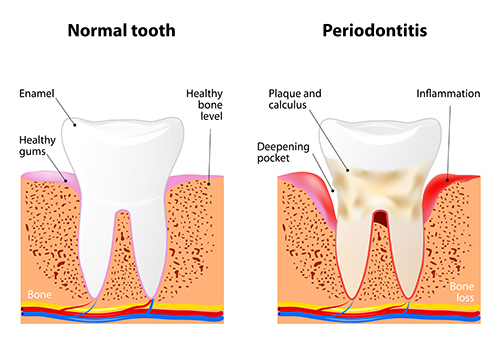 Marked by gums that are easy to bleed, gums that are red or swollen, and bad breath gum disease can eventually progress into a more serious condition known as periodontal disease. Frequently gum disease goes unnoticed by those who have it because there is no discomfort associated with it. Make certain to brush and floss twice daily and come to see us for a routine exam at least two times a year to help keep your mouth happy and healthy. Call us today at (208) 505-9975 to schedule an appointment.